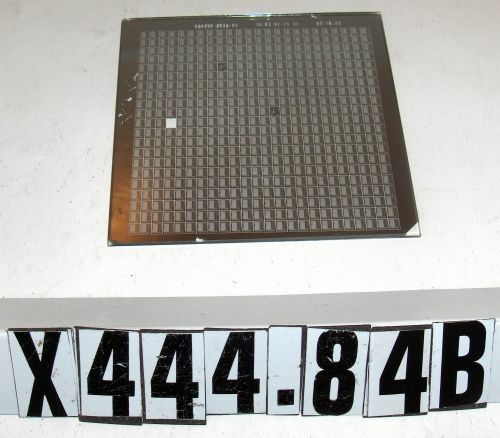 lithography masks (probably contact) for the MOSTEK MK4096 DRAM. Mostek memory chips ;. Accession number writtem in ink on mask.